Edited by Mailas, 11 August 2014 - 08:39 AM. They didn't believe me... They said I was crazy... But I knew... I knew. Edited by Jobo, 11 August 2014 - 08:40 AM. Edited by Manuel777, 11 August 2014 - 05:25 PM. May this signature be frozen on the old GMC until the end of times. Or YoYo takes it down. Requiring a dedicated dev kit certainly limits feasibility testing. I imagine the concern though is security, security and security, any public backend access would aid in circumvention development. 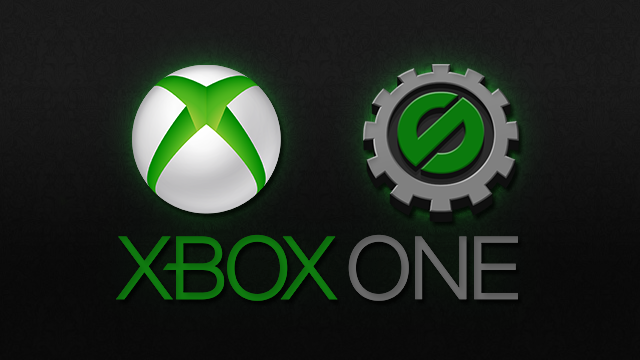 This is more of a meh moment for me considering my feelings toward the Xbox One. I had similar feelings, but instead of me being "meh" this is rekindling my faith in the Xbox. Hopefully not in vain! Good thing I registered in January because I'm an ID@xbox developer but it's taking a while for my dev kit! Edited by iiRomano, 11 August 2014 - 07:50 PM. One thing I want to know is, will network functions work out of the box or will we have to wait for future updates after the export comes out? Why wouldn't network functions work? What's the point in arbitrarily picking out functions and then asking if they're supported? If the Bible truly is inspired by God, you would think that somebody as omnipotent and all-knowing would have known to get his message out using TCP instead of UDP. But now the only thing missing is the amazing 3d functionality in gamemaker. Real master race owns everything for universal game support. When a new export comes out there are usually features that aren't supported right away, I was simply wondering if they would be supported out of the box, and not for the lifespan of the export. Bluetooth is also still a networking feature that hasn't been talked about much either, they require external extensions for those to work. I'm also not arbitrarily pointing out functions, it just happens to be one of keen interest to me. Edited by Mailas, 11 August 2014 - 11:09 PM. I don't know what you're talking about regarding exports being released with missing features. When YYG's releases an export they've always added it fully featured. The exception being; if a platform simply doesn't support the feature. Emulation need not imply piracy. Sometimes though in pursuit of the best possible play experience you may need to go beyond the original hardware's limits. Edited by lordvtp, 12 August 2014 - 12:19 AM. It truly amazes me how low of an entry level making games on a console now is. This is a wonderful time in Game Maker history. On the other hand, I get the feeling that there is a lot more to it than say making a game for the app store. Two and a half years of game development taught me the joy of making something unique and unconventional. It is not good enough to make a game fun when there are way too many other freeware games that make fun their selling point. If this is anything like Steam's greenlight system there's going to be a lot of absolutely terrible games flooding the market making actually good ones harder to come by. Regardless, this is a good step for YYG. Hopefully this, along with future patches, will help bring GM up to standards among aspiring developers. The majority of games that get through steam greenlight are not horrible. There really isn't much else that can be done about the junk games though, the markets will eventually become more saturated than ever because of how many more people are being attracted to engines such as Unity and GameMaker:Studio. Besides Steam Greenlight requires you to use a $100 donation before submitting to help combat junk games. Not only that but its meant to only have games that the majority of people want. a lot that can be done about such a problem. Still this is incredibly good news nonetheless. Edited by Mailas, 12 August 2014 - 02:34 AM. My cousin was telling me how much he'd like to play my FPS on his Xbox and how he would tell all his friends. I guess not only will I be pleasing him, but I'll have a whole new audience now. Oh, sorry I misspoke. I didn't mean games that get through the green light, I was referring to the ones being submitted. I don't know why I said "flooding the market." Although I suppose that's acceptable for app stores, but that's a different subject. Anyway, good news is good news. Surprising really. I didn't expect YYG to be able to pull this off. Does anyone know if this means the Xbox 360 will be supported as well? The 360 used the now retired XNA, so I would think not, but I'm a bit curious. There is no 360 support - sorry. First fix the bugs for existing supported platforms then XBOX. Actually, Wii U support would be a much needed step in the right direction for Nintendo to get more 3rd party games. Do you guys think that would be a good idea for Nintendo or would we cause more harm than good? I'm looking forward to publishing on the Wii U. I'm sure a lot of other Game Maker developers are, too. Doesn't mean Nintendo has to take all of us, hahah. Edited by HopelessComposer, 16 September 2014 - 07:19 AM.